LGBTQI? Want help with something? People who identify as LGBTQI face the same life issues as everyone else but sometimes its good to sort them out with a therapist whose own life, as well as their training and experience, helps them understand how those issues might look and feel. There are also some issues that only LGBTQI people face, like sorting out your sexual identity, coming to terms with being the way you are or dealing with a world that doesn't always treat you as it should. 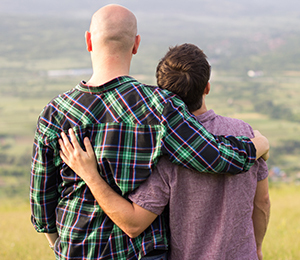 At The Cliff Practice, you can work with a gay male therapist who has experience dealing with LGBTQI issues and in a practice that strives to be affirmative of LGBTQI identities. We have wide experience of many of the issues that face individuals, couples and families who identify as LGBTQI and we have worked in settings such as Brighton LGBT Switchboard Counselling Service, Terrence Higgins Trust and Mind Out.